First Investors Life Insurance Company is a subsidiary of First Investors Consolidated Corporation. The only insurance product sold by the company is life insurance. They do not, nor have they ever, sold health insurance. First Investors prides itself on a face-to-face approach to working with clients in order to enhance lives by helping people to reach their financial goals. Still need health insurance? Find a company that sells health insurance policies in your area by clicking here and entering your zip code. In minutes, you will have a list of companies and rates to get you started. 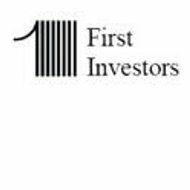 First Investors Corporation was originally founded under the name Financial Independent Founders in 1930 during the Great Depression. Its motto was that you do not need to be rich to invest in your future. In 1948, the name was changed to First Investors and in 1962; First Investors Life Insurance Company was established. Throughout the 1970s, 80s, and 90s financial planning and insurance products were added helping the company to grow and prosper. In 1988, a variable term life insurance product known as an Insured Series Policy was developed. In 1999, a full protection life insurance policy known as Level Term Life Insurance was introduced. Most recently, in 2008, the ISP Policy was introduced, which provides permanent life insurance protection with four different premium payment periods. Today the company continues to prosper. It is led by CEO Kathryn S. Head. The company has received an A.M. Best rating of A- (excellent) indicating solid financial stability. Customer service representatives are available at these numbers to take your calls Monday through Friday from 9am to 6 pm Eastern Standard Time. There are also phone numbers for each of the regional offices across the U.S. listed on the website. Do I want long-term life insurance or do I only need it for a period of time? How much life insurance do I need to provide for my family in the event of my passing? How much can I afford to pay annually for a life insurance premium? After answering these questions, you are better equipped to determine which of the following life insurance policies from First Investors best suits your needs. This type of policy is for people with a long-term need for financial security. It comes with fixed premiums, and you are covered for life as long as you pay your bills. One key feature of this plan is that it also builds cash value that you can use during your lifetime for certain types of expenses such as education. Interest sensitive policies have fixed premiums that remain the same for life as long as your pay your bills. The unique feature of these is that they earn cash value based on an interest rate minimum of 3.50% which is tax-deferred. Term life insurance policies are designed for those individuals who only need life insurance for a set amount of time such as, 10, 20, or 30 years. These plans have less expensive premiums, but you will not accumulate any cash value to use during your lifetime. Premiums may also go up if you choose to extend the term of your insurance. If you need to find an insurance company licensed in your area or a company that sells health insurance instead of life insurance, simply click here and enter your local zip code. You will soon have a list of rate quotes ready to begin comparing.